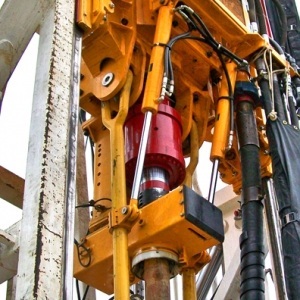 Foremost floating cushion subs (FCS) are utilized in both slant and vertical drilling operations to reduce vibration and wear of the drill string and drill rig components. Foremost manufactures several FCS models for mining, construction, water well and oilfield applications. The sliding spindle of the cushion sub permits the threads of the mating drill string components to float together or apart during rotation without any axial movement of the rotary drive. This decreases the impact on the rotary drive when the two mating threads are joined and decreases the load on the threads of the mating components. The floating cushion sub performs two important functions. 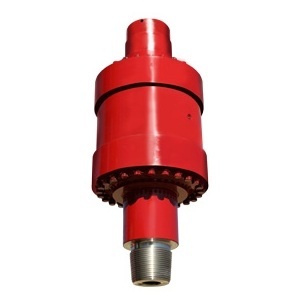 It provides a means of making up and breaking out threaded connections on casing and drill pipe, and also prolongs bearing and gear life in the top drive rotary box. By incorporating a certain amount of axial movement below the top drive gull, the sliding spindle of the cushion sub will allow the threads of the mating drill string components to float together or apart during rotation without any axial movement of the rotary head. 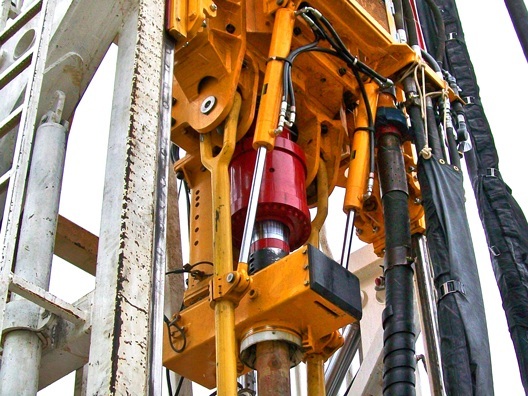 Models 359150 and 375300 are utilized in vertical and angle drilling operations where the rig is equipped with a top drive rotary gear box. The allowable movement of the sliding spindle within the cushion sub housing decreases the impact on the rotary drive spindle when the mating threads are tabbed together. It will also decrease the load on the flanks of the threads and mating components.